Located on a hill overlooking the confluence of the Sava river into the Danube. The Romans were the first to build a fort (castrum) at this site and in the late 1st century AD, it became HQ of the IV Flavian Legion. Over the centuries of sieges, battles and conquests, the fortress was repeatedly razed to the ground, rebuilt and restructured. It took on its present shape round the end of the 18th century, but again, the wars that followed swept away nearly all the buildings. Belgrade Fortress consists of Upper Town, Lower Town and Kalemegdan Park. Kalemegdan Park was created as late as the 19th century, on a plateau in front of the fortress, which had been cleared for centuries to allow for unobstructed view of the advancing enemy. The park is popular because of its many shady benches, random sculptures, art pavilion, Zoo, amusement park, souvenir vendors. It is the favourite haunt of chess players, squirrels and couples in love. 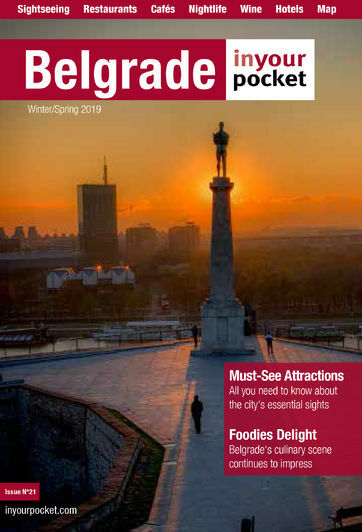 The most of the preserved fortress ramparts and gates are located in the Upper town, as well as the Military Museum, St. Petka and Ružica churches, Roman Well (an intriguing building whose eerie waters claimed many lives) and the symbol of Belgrade - Pobednik (The Victor). The plateau with the statue of Pobednik offers stunning views over the rivers and incredible sunsets. The Lower Town at the banks of the Danube was the main city centre in the Middle Ages. It was surrounded by walls and had a port. Only a few buildings remain today: Kula Nebojša (Daredevil Tower) from 1460, Turkish Bath from the 18th century (today housing a planetarium), Gate of Carl VI from 1736.